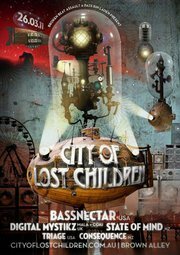 Bassnectar hits Melbourne alongside Digital Mystikz (Mala and Coki) on March 26th, 2011! With support from State of Mind, Triage, Consequence, and locals. Please note that due to a scheduling conflict, this event has been moved to Brown Alley.